Let’s revisit some recent economic misery. By March 2010, the Great Recession was over and a recovery was underway nationwide. But it surely didn’t feel that way in some parts of Virginia. 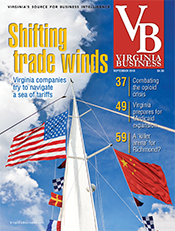 Southern Virginia, Southwest Virginia and other rural areas had lost jobs for years before the recession, as manufacturing and textile companies folded or left town for cheaper factories overseas. Coal and tobacco had long been fading, too. The 2007-09 recession only added insult to injury. Eight years ago, for example, Henry County’s unemployment rate was 16.1 percent, with 3,910 people out of work, according to Virginia Employment Commission figures. The jobless rate in Martinsville was 18.9 percent. That’s 1,172 people looking for jobs. A surging national economic recovery and new economic development projects have helped the Martinsville area in recent years. By last December, Henry County’s unemployment rate had dropped to 4.4 percent while Martinsville was down to 6.1 percent. That improving employment trend is happening in a lot of other rural areas of the state, too. But it’s not enough. Compared with eight years ago, many rural communities are doing better, yet in important ways they’re still facing an uphill fight. 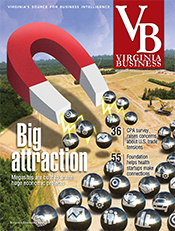 The problem is not unique to Virginia — rural regions around the country are searching for ways to attract businesses and to keep their youth from going somewhere else to work. There’s a renewed effort underway to reverse this trend. 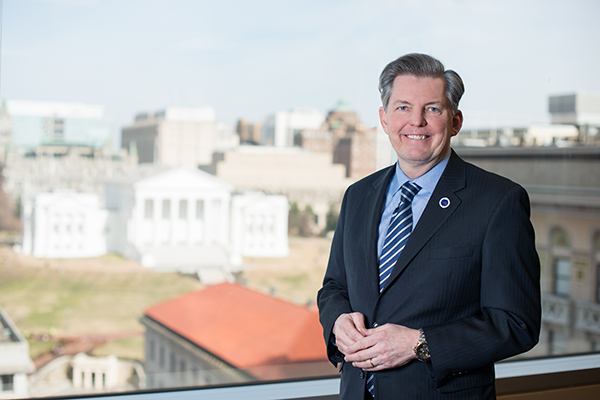 Under the direction of Stephen Moret, its president and CEO since January last year, the Virginia Economic Development Partnership has put a high priority on helping economically weaker parts of the state. 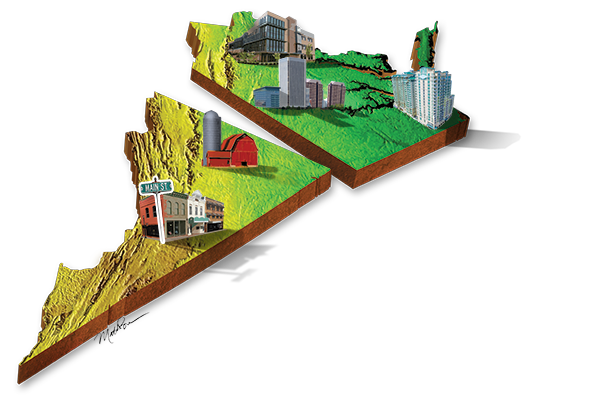 Likewise, GO Virginia, a new statewide program, is focused on economic strategies developed at the local and regional level. 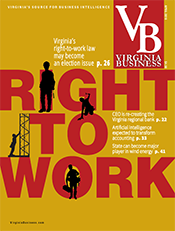 And the Virginia Chamber of Commerce has drafted its Virginia Blueprint 2025 economic development plan that aligns with the goals of VEDP and GO Virginia. There is some fairly serious money and resources behind all these efforts. Why the extra attention? Maybe it’s because many rural residents spoke loudly in the 2016 presidential election about being forgotten. 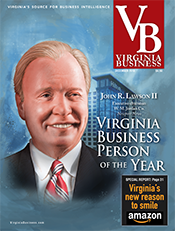 Plus, the gap between the rising wealth of people living in Virginia’s urban crescent and the lagging fortunes of those in rural Virginia just keeps growing. There really are two Virginias, and one is chronically struggling. Barry DuVal, president and CEO of the Virginia Chamber of Commerce, says that when it comes to which strategies are best for improving the Virginia economy, the state’s business community “is the most aligned today than it has ever been in the past 20 years.” The chamber’s Blueprint plan, for example, pushes four main points — marketing the state as a prime business site, expanding broadband access, developing business-ready sites and customizing workforce training for business prospects — that line up with the VEDP’s goals. A top priority for these groups in the 2018 General Assembly session (which was still in session as this issue went to press) was developing “customized” workforce recruitment and training programs. So, if a business wants to expand, it can get quick help in finding and training workers with support from the state’s community colleges and workforce training centers. A local example of this concept is the Commonwealth Centre for Advanced Training (CCAT), a 26,000-square-foot facility being built in Henry County’s Commonwealth Crossing Industrial Park near the North Carolina line. CCAT will serve businesses moving into the park. A company can place its equipment in the facility and begin training new employees while its plant is under construction. By the time the plant is ready, its workers are thoroughly prepared and ready to begin operations. A model for statewide programs is Georgia’s Quick Start program, which is offered through its system of 23 technical colleges. 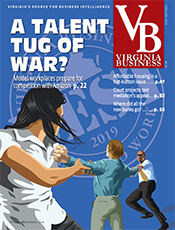 Area Development magazine, a trade publication for site consultants, named Quick Start the top workforce training program in the country last year. Another goal is creating a stronger marketing program. 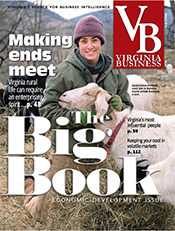 A recent VEDP report says that, in comparison with competing states such as Georgia, Florida and Ohio, “Virginia has an economic development marketing budget of approximately zero.” The report goes on to say that Virginia is considered “a quiet state by many corporate executives and site-selection consultants … In particular, the story and potential of rural Virginia is not being shared.” The marketing plan VEDP and other groups were proposing would require at least $3 million a year. There were a couple of other budget proposals VEDP and others were pushing. One is expanding the number of “certified” business-ready sites. 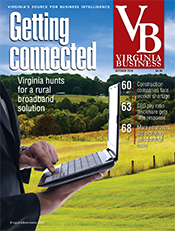 Virginia has fewer of these sites than many of its competitors, especially sites of 100-plus acres, according to VEDP. In fact, the top reason that Virginia loses manufacturing and distribution projects to other states is the lack of development-ready sites. VEDP says that expanding this effort will help rural and economically distressed regions, which generally don’t have the money to create certified sites. A fourth proposal was expanding the state’s international trade programs, at a cost of at least $1.8 million more per year. VEDP claims that increasing the number of companies enrolled in its programs from about 320 to roughly 500 a year would translate into 5,000 to 10,000 trade-supported jobs annually during the next 10 years. 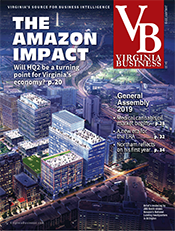 The newest entity in this effort is GO Virginia, shorthand for Virginia Initiative for Growth & Opportunity in Each Region.The program takes a regional approach, aiming to develop growth strategies for each section of the commonwealth based on its particular needs. The program has nine regions, each headed by a council of local leaders. 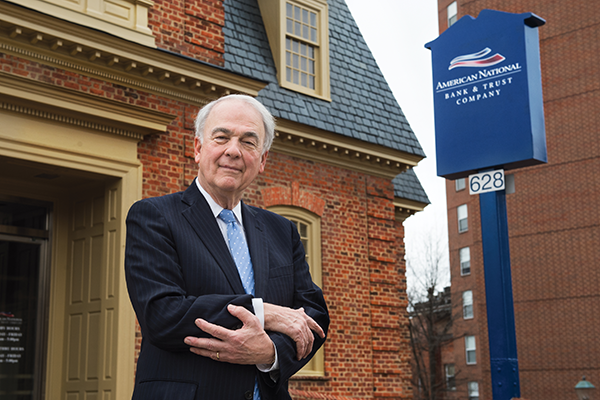 Charles Majors, chairman of the board of Danville-based American National Bankshares, heads the GO Vir­­ginia council in the organization’s Region 3. 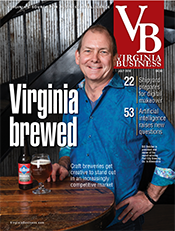 The region, which has a population of 372,000, includes the cities of Danville and Martinsville and 13 counties: Amelia, Brunswick, Buckingham, Charlotte, Cumberland, Halifax, Henry, Lunenburg, Mecklenburg, Nottoway, Patrick, Pittsylvania and Prince Edward. Regional councils develop projects for which they seek state funding. In December, the GO Virginia state board approved a handful of grant requests, most of which were for projects in Northern Virginia or Hampton Roads. Region 3 didn’t seek any grants in the first round of funding but will submit proposals later this year. “We’re not far enough along in the GO Virginia process to tell you how much this is going to help us. We’re really at the beginning stages. But I’m really optimistic,” Majors says. Region 3 is a good place to measure the needs of rural economies. 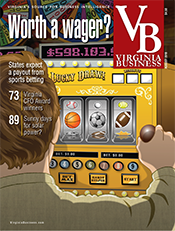 It is the smallest of GO Virginia’s regions in population, has the highest unemployment rate (5.3 percent) and the second-lowest level of per-capita income ($33,480). Those are all GO Virginia figures. Majors says the sheer geographic size of the region makes it tough for the council to develop a cohesive plan. Nonetheless, the arrangement offers the region’s localities a big-picture perspective. They aren’t really competing against each other. “We used to fight among ourselves” when the localities in Region 3 were trying to organize. “Now we’re realizing, if we’re Danville, our competition isn’t really Martinsville. It’s another state, another country,” Majors says. But regional cooperation may not be able to fix perhaps the biggest challenge for rural towns, cities and counties. “Our greatest gap is that we have an aging and shrinking population,” says a guiding document for the region that was presented last summer by GO Virginia. Here’s the recommended cure: Get young people to stay at or near home and give them training and then attract companies that will give them jobs. The region is putting some serious muscle into keeping its young workforce at home, but the latest figures reveal that it is not working yet. Numbers released in late January show that between 2010 and 2017, Henry County lost 4 percent of its population, Lunenburg County lost 4.1 percent, and Brunswick County lost 5 percent. During the same timeframe, urban areas gained a lot of people, especially the suburbs around Washington, D.C. Arlington’s population, for example, rose 15.1 percent, and its December unemployment rate was 2.2 percent, the lowest in the state. 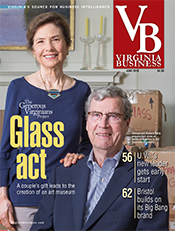 Outside of Northern Virginia, Albemarle County, anchored by Charlottesville and the University of Virginia, saw its population rise 8.8 percent to 107,697. The people who are leaving are generally younger, with fewer economic ties to their home regions. Localities that want to keep them have to provide jobs. Henry County and the city of Martinsville have had recent success doing so. VEDP lists 11 economic development announcements in Martinsville and Henry County since the beginning of 2016, which were expected to generate a total of 333 jobs and and investments of $43.7 million. In addition, the Martinsville-Henry County effort has the support from the Martinsville-based Harvest Foundation, which was formed in 2002 and funded by money from the sale of Memorial Hospital of Martinsville and Henry County. The foundation last year provided a three-year grant totaling $3.1 million to pay tuition for the first two years of college at Patrick Henry Community College for all qualified spring 2018 graduates at high schools in Martinsville and Henry County. The foundation also provided a $5 million grant to support development of the CCAT training center. Some of the strategies for fixing that include targeting specific sectors — advanced manufacturing, health care, IT (including cybersecurity and data centers) and education. The development plan says 30,000 people leave the region every day to work in jobs elsewhere, so recruiting companies that would employ them in their hometown makes sense. It also calls for recruiting workers from outside the region and offering cash incentives. Other localities offer to pay off student loans, give cash rebates for new home construction and provide free tuition for the children of workers. It’s impressive to hear how many tactics regions around the country are trying to keep workers at home and attract new ones in the right sectors. Of course, there’s a downside to offering all these incentives; these training programs can end up creating skilled workers who still go somewhere else.